Scan Pro Audio Webcast: What did you miss? 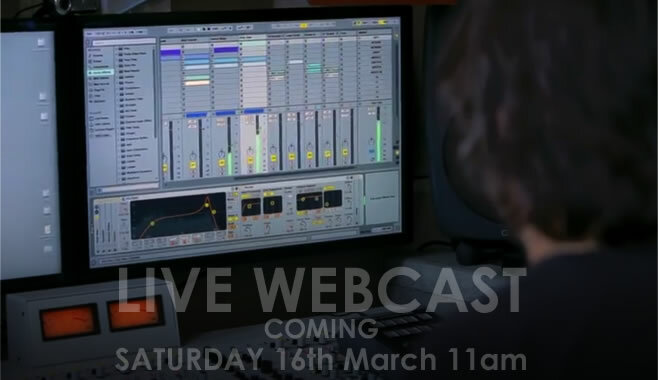 Scan Webcast 16th March: What did you miss? So, did you tune in? If not, what did you miss, and will we be doing it again? OK, basically we think this is the start of something cool. Advertising agencies have been predicting that this is the way forward in the future. You see, with the advent of You Tube, we have all become very good at searching out niche content, i.e. content that’s of interest to ourselves but maybe not to other people in our house or community. However, the other thing the people in the know are saying, is that people are now becoming a lot more discerning. With cable providers like Virgin Media supplying You Tube as a channel on your TV set, viewers are less likely to watch the ‘old school’ type of you tube clip, with some murky, shadowy character showing you how to play Stairway to Heaven sat on the end of his bed, in favour of higher production values that look more like the sort of HD TV show they’re used to…. ……………………and I’m pleased to say, we succeeded! We managed to broadcast a high quality stream from the Scan in house Theatre, and Simon Lyon gave a preview of the new Ableton live 9 suite, while Luke from Korg gave a great demonstration of the new King Korg analog synthesiser. What was great was that during the broadcast we were taking questions from the viewers, live in realtime, and we were able to answer and use those questions as part of the show. We want to become known for a weekly webcast that features demonstrations of new kit, tips and tricks with well known software, recording advice etc. in fact everything you’d want from a Pro Audio show. Simon shows off some new features in Ableton 9. Luke from Korg showing off the King Korg synth. Previous Post7 Reasons to love Reason 7….Next PostBreakdown of Ableton Live 9’s features: Suite,Standard or Intro?